What is Direct & Indirect Tax? As per Wikipedia the direct tax is generally a tax paid directly to the government by the persons on whom it is imposed and income tax, wealth tax etc gets counted against the direct tax. As per Wikipedia the indirect tax (such as sales tax, a specific tax, value added tax (VAT), or goods and services tax (GST)) is a tax collected by an intermediary (such as a retail store) from the person who bears the ultimate economic burden of the tax (such as the consumer). The intermediary later files a tax return and forwards the tax proceeds to government with the return. 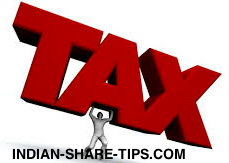 You can see procedure to file income tax online and service tax online procedure here.